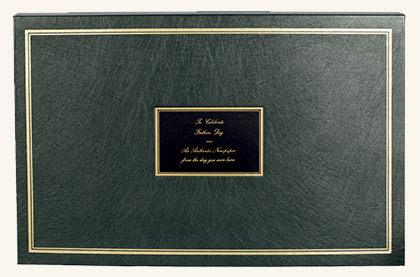 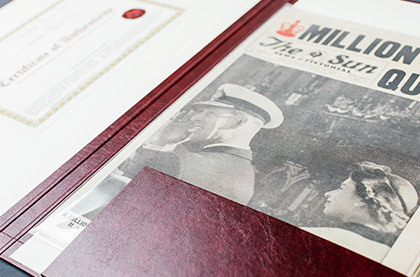 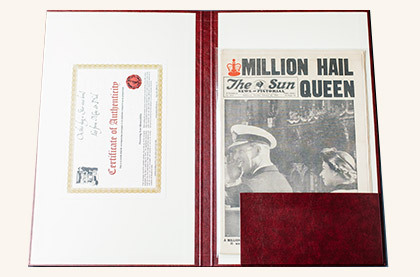 Our Deluxe Folder provides an elegant presentation of your newspaper and/or magazine. 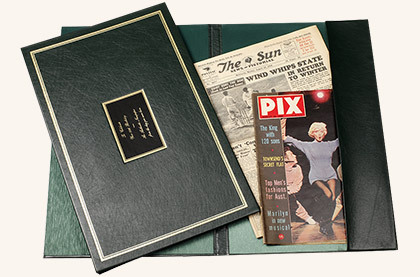 It has been designed in Australia and is made from a soft Forrest Green leatherette. 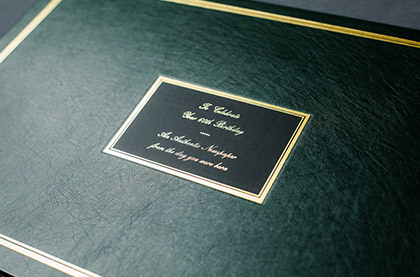 To personalise the folder, a plaque is centrally mounted on the front with a choice of embossed messages to suit a number of occasions. 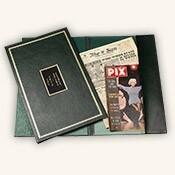 Our Classic Folder has been specifically designed and produced to present and protect your newspapers and/or magazines. 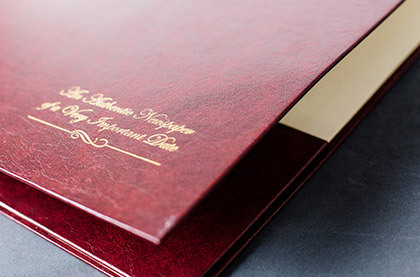 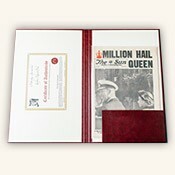 The folder measures 54cm X 35cm and is maroon in colour with a fine leatherette finish. 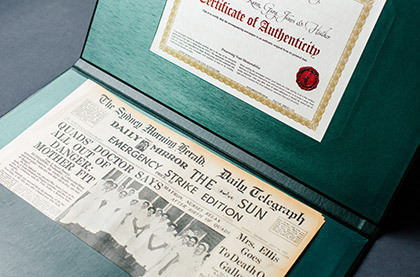 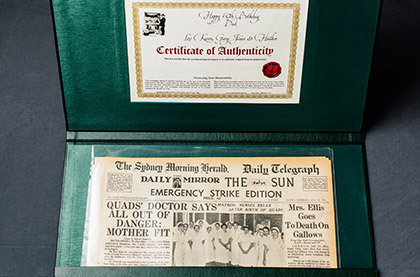 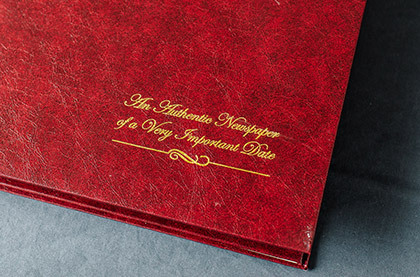 Embossed in a gold cursive script in the bottom right hand corner of the folder’s front cover are the words: An Authentic Newspaper of a Very Important Date. 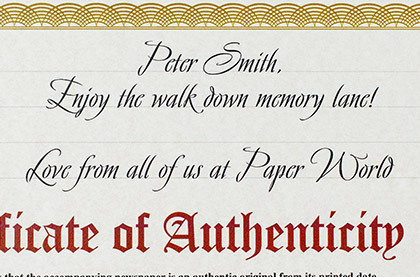 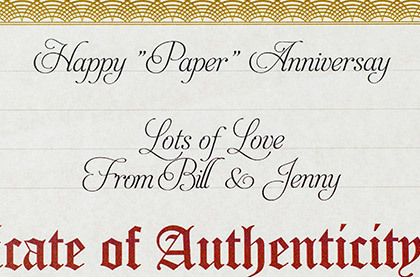 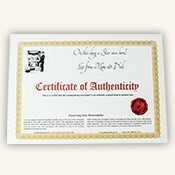 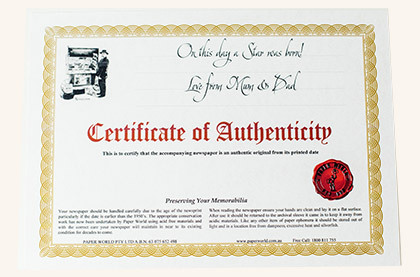 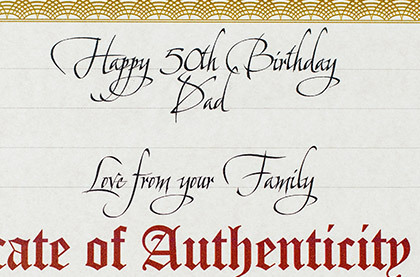 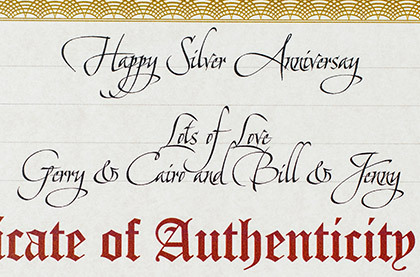 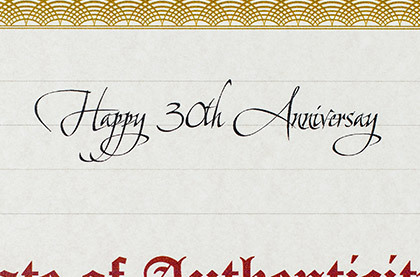 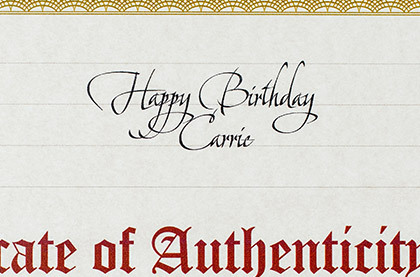 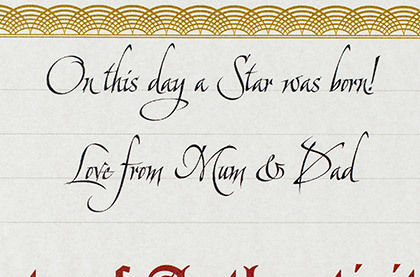 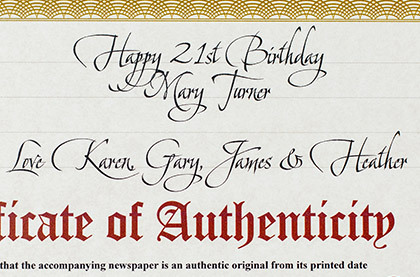 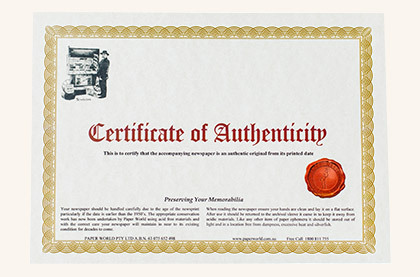 To add a personal touch to your gift, we can arrange to have a message of up to 10 words inscribed in calligraphy with the a message of your choice in traditional calligraphy on the supplied Certificate of Authenticity. 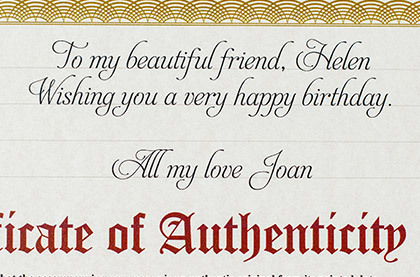 Including an inscription with your gift is an elegant way of providing a personalised greeting to your friend or loved one on their special occasion.